Trailer tires come in many different load ratings, sizes and styles. They also come in many ply rating and compositions including radial tires and bias ply tires. 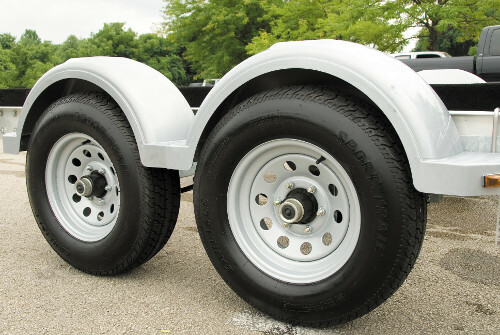 Finding the right tire requires matching the size, style, tread pattern and load carrying capacity for your trailer. Pete’s Tire Barns carries high quality tires from many of the most well known tire manufacturers in the business today. We offer tires to fit every budget, application and trailer and offer trailer wheels and tire mounting. With nineteen convenient tire sales and service locations throughout New England and shipping tires to anywhere in the United States and Canada, Pete’s Tire Barns is sure to have the tire that you are looking for. Find more information on choosing tires for your trailer, tire terminology and tire manufacturers using the links below.